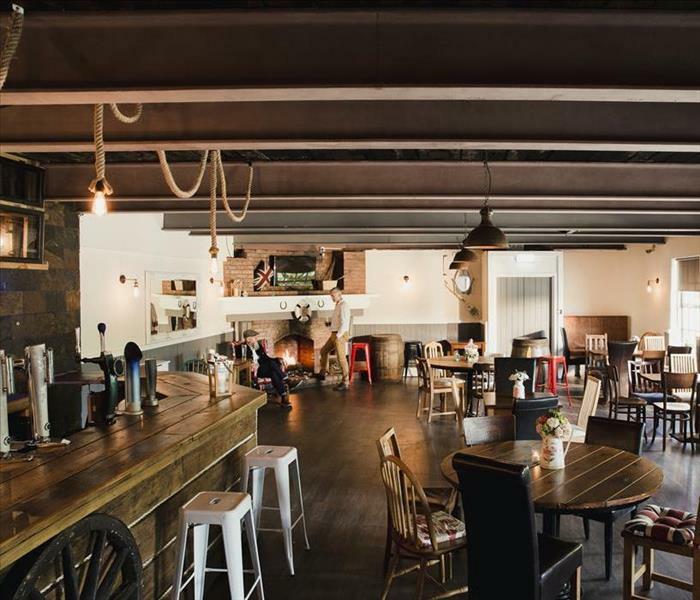 Fire damage to a bar can prove devastating to the business if the damage is not dealt with swiftly. Even fires that leave minimal visual damage or smoke residues can still prove detrimental in the long run, as smoke odors typically cannot be masked through store-bought air fresheners and deodorizing tools. 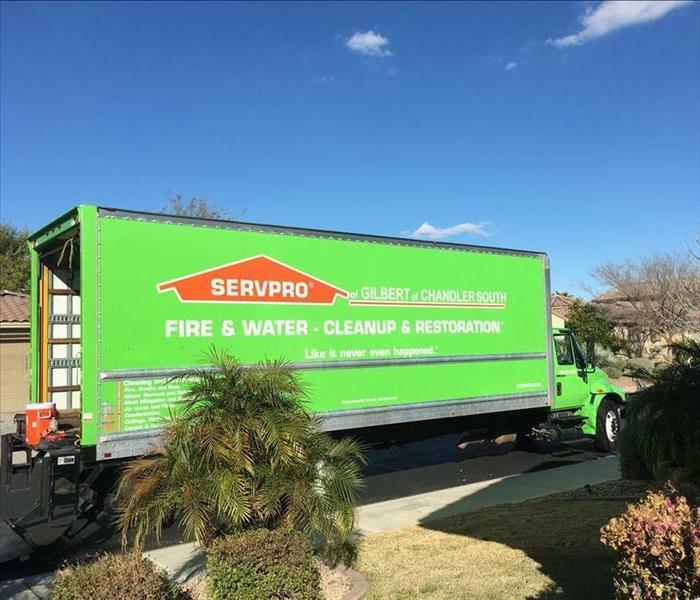 Calling in a company like SERVPRO to handle fire and smoke damage cleanup and restoration in Gilbert ensures that the job is done quickly and your customers do not stop coming due to the presence of smoke odors. We specialize in providing high-quality fire damage treatments for hospitality centers and gathering places across Gilbert. 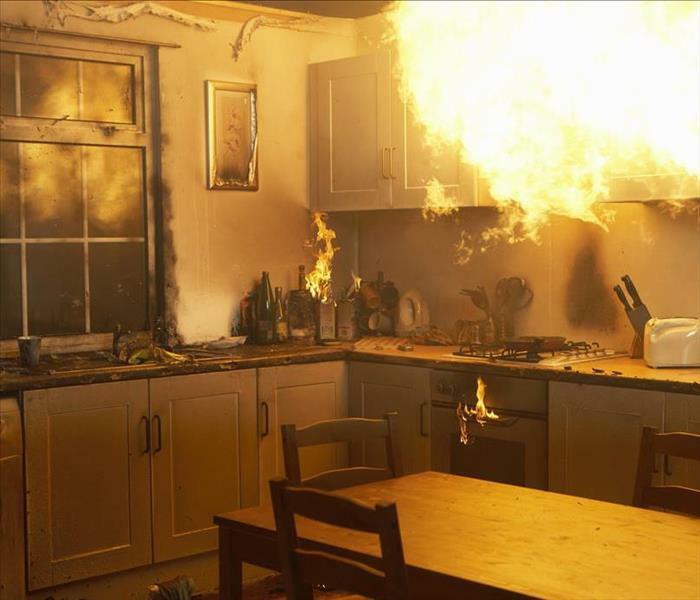 With specific cleaning and deodorizing agent mixtures designed to target individual types of smoke and fire damage, we can provide the most thorough odor elimination job possible. Our careful treatments with advanced cleaning chemicals, many specially formulated to SERVPRO specifications, are imperative to prevent additional damage to the building and eliminate the many different types of smoke residues that may still linger in your business. SERVPRO of Gilbert provides high-quality specialist fire damage restoration treatments to help your business be rid of smoke odors as fast as possible. Contact us at (480) 558-7620 for our services or a quote. Flood damage can come to your home when you least expect it. 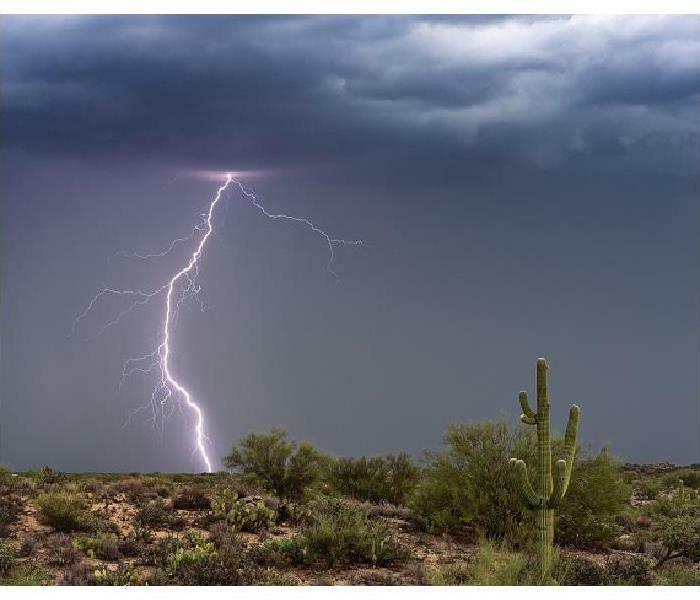 Thanks to Arizona's unique weather patterns, many homes in our area are ultimately put at even higher risk of storm damages, especially during Monsoon Season. As soon as you call us to report flood damage to your Gilbert home, we act fast to bring technicians to your property as quickly as possible so that they can immediately implement damage-mitigating measures. By stopping any continuing sources of water if on-going, and then pumping out any existing standing water, we can then set up drying equipment. We're Faster To Any Size Disaster simply stated-- we prevent as much additional damage as possible from happening in your home. 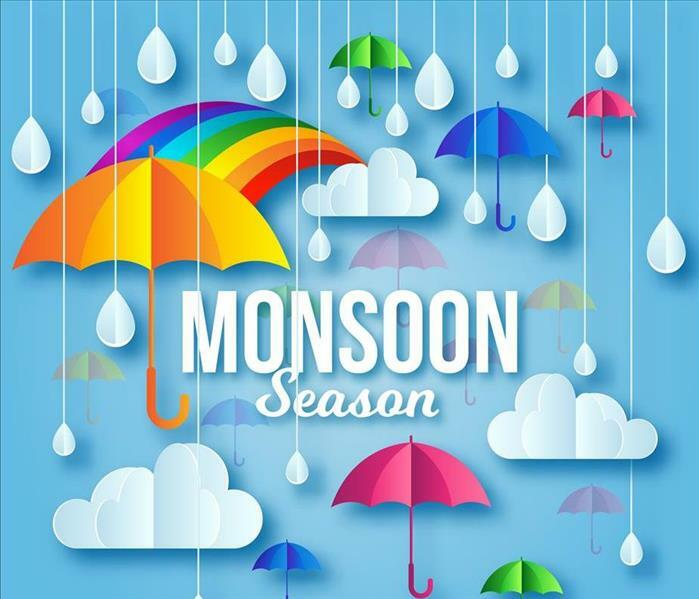 The most important steps in keeping your home safe and secure in inclement weather, duly noted during Monsoon Season, involve maintaining structural integrity and eliminating leaks, but even the most prepared homes can still be subject to the effects of nature. When the worst situations arise, SERVPRO is here to help. In the following hours and days, we prioritize damage mitigation efforts over other work so that we keep costs low and have fewer restorations to do later. SERVPRO of Gilbert is a fully-equipped damage mitigation service that can help lessen the impact of flood damage to your home. Call us at (480) 558-7620. Click here for a local history lesson. 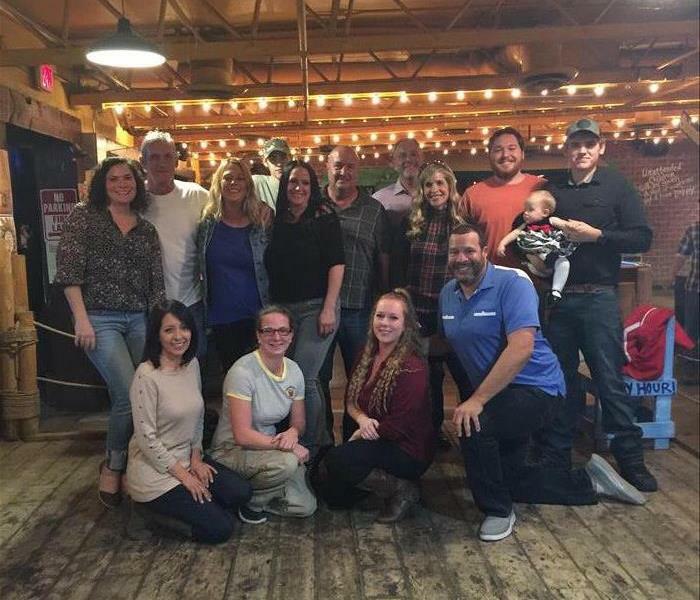 SERVPRO Team Members Play and Support Our Local Businesses in Gilbert--Even During Water Loss Mitigation! Water damage to your clothing store in Gilbert can be a cause for significant concern. Damages do not just go away once the water dries up, and in some cases, the drying process may cause even more problems for the business. Hiring a professional damage mitigation company like SERVPRO helps you avoid some of the issues associated with improper drying situations. Many effects of water damage to a clothing store in Gilbert are visual and can be readily seen by customers in the store. Most people do not want to shop and spend money somewhere with wet or loose carpeting, blended or washed out colors, and potential signs of mold damage. The soft fabrics of clothes can be especially affected by excessive moisture and dampness. We work fast to dry out the area with powerful air movers and dehumidifiers while ensuring that any damages are noted and restored once the area is dry. We also take steps to prevent mold growth, which can cause health effects and result in safety code violations if allowed to grow unchecked in your business. SERVPRO of Gilbert provides expert damage mitigation and restoration services for businesses across the local area. Call us 24/7 at (480) 558-7620. Rosie from SERVPRO Says We're Faster To Any Size Disaster in Gilbert--Water Mitigation Is What We Do! The dry, desert climate enjoyed by home and business owners in the Gilbert area does not preclude the possibility of water loss events inside local homes and commercial buildings. A broad range of causes contributes to destructive water events in our region. Connecting with a reliable water damage restoration company to assess and manage the consequences after an event is crucial to preserving the integrity of the building materials inside a property as well as its contents. Here are some of the many considerations to keep in mind when coping with a water emergency. 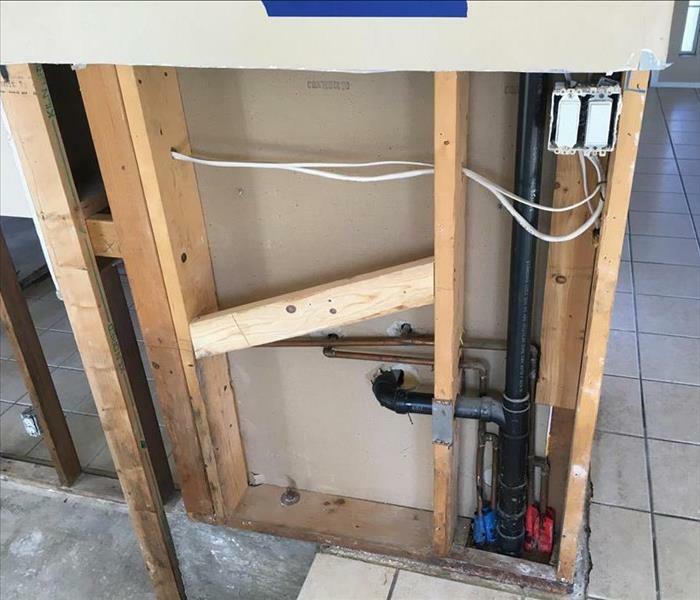 Plumbing supply or waste pipe breaks or appliance malfunction are often the reason Gilbert residential and commercial buildings suffer water damage. Slow leaks might start as minor issues, but if they are hidden or ignored over time, the ramifications become significant. Harm to walls, cabinets, floors, and ceilings progresses as long as the water continues to seep. Pipes, connections, pumps, or hoses that burst open can send larger quantities of water that spread quickly. Clogged drains in air conditioners, sewer backups, and toilet and tub or sink overflows add to the list. The source of the water damage is relevant as SERVPRO of Gilbert crews evaluate the contamination risk. Supply lines break usually start as fresh or Category 1 water, rarely posing a health risk. Appliances like washing machines, garbage disposals, and dishwashers discharge grey or Category 2 water, containing some bacteria or harsh cleaning agents. Sewer backups and overland flooding after a monsoon send black or Category 3 water into your property. This type of water can contain pathogens including viruses, bacteria, and fungi and toxic chemicals. Severe health problems can follow if professional water mitigation experts do not remove, contain, and dispose of the tainted water appropriately, following safety and health rules and regulations. 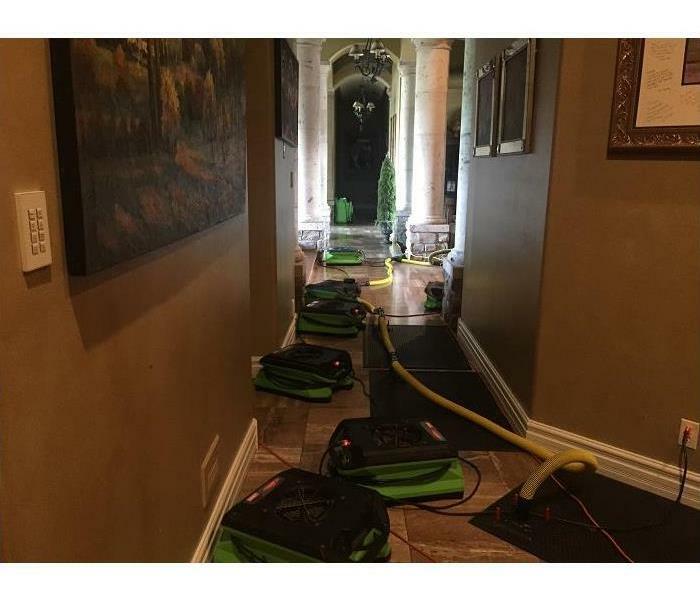 When water damage extends to the contents of a property, high-quality restoration companies like SERVPRO offer a move-out service to residential and commercial customers. Furnishings, documents, window coverings, rugs, clothing, toys, books, electronics, and many other items absorb moisture. Our production facility is climate controlled and features specialized cleaning and drying systems, including vacuum freeze drying for papers and pictures. We use a Contents Claim Inventory Service (CCIS) that inventories all items transported and tracks their status through the process. Removing portable property for storage also allows a more efficient work environment in your home or business. If more than an inch of water fills a space, it is likely that moisture is wicking up the wallboard and seeping into unseen cavities. When water flows in on upper levels, ceilings can look deceptively untouched while they might be holding gallons of liquid. SERVPRO’s IICRC-trained technicians are familiar with the spread of water damage into hidden spaces. They receive advanced training in thermal scanning techniques to locate pockets of water and moisture. We can establish baseline levels to determined drying goals. SERVPRO delivers successful water damage remediation because our talented crews operate top-notch equipment specifically designed to move water and lingering moisture out fast. Our service vehicles arrive packed with commercial quality pumps, wanded extractors, air movers, heaters, and dehumidifiers. Possessing the appropriate equipment allows rapid removal of water and the ability to establish the balance among air movement, temperature, and humidity needed for effective drying. One of the most frequent challenges SERVPRO faces in a water damage scenario is extracting moisture from tight or interior spaces. We must remove water that migrated behind walls or between the planks of hardwood floors. Fortunately, innovations like the Injectidry system allow us to use negative pressure to suction the moisture out using a series of hoses and floor mats connected to powerful extractors. These devices can also inject warm streams of air to facilitate the evaporation of water to a gaseous state captured by our dehumidifiers. Flood cuts extending above the waterline permit us to force dry, warm air behind walls to accelerate drying. Cinder block walls release water held in their internal cells when we drill holes through mortar joints or angle extractor extensions from above. SERVPRO of Gilbert professionals exceed industry norms and strive to live up to our commitment to complete water damage restoration fast. Speed is not just a slogan to our team; it is vital to positive outcomes for our customers. Standing water and moisture remaining more than 24 to 48 hours after the loss expose the structural components and contents of your home or business to microbial growth. Although we offer mold remediation, we prefer to avoid the growth of fungal colonies in the first place. Moisture management is the key to inhibiting a mold infestation. SERVPRO’s goal is to abate water damage and its effects, making it “Like it never even happened.” Expect our crews to be thorough, discrete, respectful, and compassionate as we complete the necessary tasks. We know how devastating a water loss can be, and your confidence in our company honors our owners, managers, and technicians during this disaster. Our mission is to help the residents and business partners in our community during this stressful and disruptive time. We take special care to return items back in place once the job completes and to take responsibility to remove our equipment, tools, products, and any mess we created during the project. Approximately 30 percent of homeowner insurance claims in a year relate to water damage. Residents and business owners need a full-service remediation company that helps provide the documentation needed to support claims made according to property insurance contracts. Our team commits to working with your insurance company throughout the remediation process, coordinating communication both for tasks performed at your property and for cleaning, drying, and restoration, or disposal, of any items packed-out and treated at our production facility. When water damage becomes a crisis at your home or business SERVPRO of Gilbert stands ready to be your partner throughout the restoration of your property. Call us round the clock at (480) 558-7620 to schedule an assessment. Is Drying Enough to Restore Water Damage in San Tan Valley? SERVPRO of Gilbert has the equipment, training, and experience to restore water damage. Thankfully most homeowners never need to enlist the services of a professional for water cleanup, but those who need it do well in doing some research. Even though water cleanup may seem like a straightforward process, in reality, it goes well beyond extracting water from your home, and it is precisely that next step where homeowners fail to protect themselves against more extensive damage to their home. Contracting with an established and reputable company to help you in the restoration process is very important in making it a successful one. When your home in San Tan Valley requires water cleanup services, SERVPRO is here to help. We make your family's safety our priority. We also mitigate your loss as much as possible, which is why we focus on the visible damage and in anticipating any further deterioration of your home. Our team is IIRC certified to address any water damage and is knowledgeable about its possible ramifications. In addition to water removal, we also concentrate on understanding your home’s needs regarding the removal of odors and any other bacteria that may be lingering. If not promptly resolved, water damage can lead to more complicated issues. Standing water can become a breeding ground for microbes and bacteria, which can bring other problems such as mold into your home. In our cleanup process, we address these hazards by continually testing the environment, removing any materials that cannot be salvaged and effectively treating those that can be cleaned and disinfected. We always try our best to save your home’s contents and finishes, such as hardwood and furniture, but porous materials like carpets and upholstery are usually beyond salvageable. 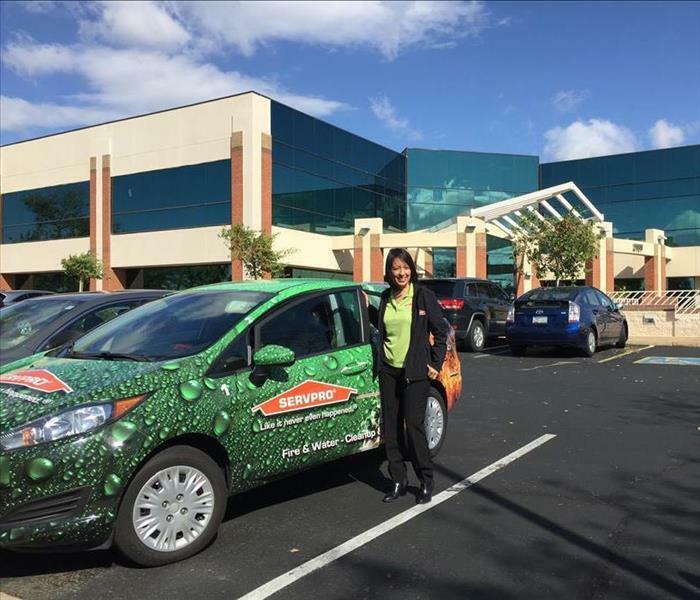 Due to the rigorous training, our SERVPRO technicians have gone through, we can determine what the best course of action is for each surface and apply industry best practices to protect you. As a homeowner, relying on a staff that has been highly trained to deal with water cleanup is comforting, and at SERVPRO of Gilbert, we offer that knowledge along with our own experience on the field. Just reach out to us at (480) 558-7620 and allow us to help you restore your home "Like it never even happened." 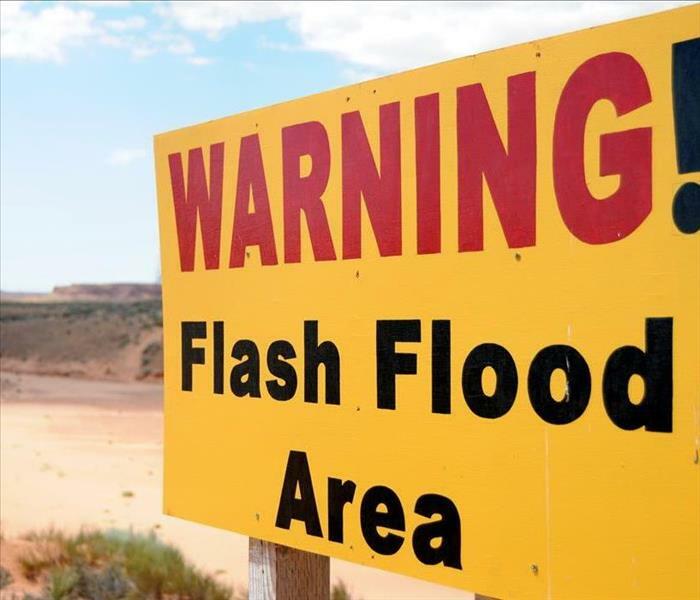 4/5/2019 - Is Drying Enough to Restore Water Damage in San Tan Valley?